One of the most important lessons God has taught me over the years is the importance of thankfulness. Examples of it are all over the Bible. These are just a few examples. Psalm 35:18 I will give you thanks in the great assembly; among throngs of people I will praise you. Colossians 3:15 Be thankful. Let the word of Christ dwell in you richly as you teach and admonish one another with all wisdom, and as you sing psalms, hymns and spiritual songs with gratitude in your hearts to God. If we look at it from God’s perspective, it is easy to see why thankfulness is so important. It shows that we trust Him with our lives, it shows that we recognise the many things he has done for us. After all, what parent is going to want to see their kids complaining all the time after they have given them all they need and more? I didn’t used to do it because I didn’t think of things to be thankful for. I also didn’t realise how important it is, but the key to it is looking beyond the big things to the everyday blessings. Once I did this, I made a habit of it. The more I did it, the easier it became. Finding things to be grateful for is easier than we think. We can even do it when faced with life’s little irritations. If the train journey to work is delayed, thank God that you live somewhere that has a transport system that runs at all. If you don’t get a seat on the train, thank God for the train. If they job is difficult, thank God that you have one. If you are struggling in a difficult marriage, think of those who are bereaved or lonely. If the kids are driving you mad, think of those who have always wanted children but not been able to. If you aren’t happy where you live, thank God that you have a roof over your head. If you are sick, give thanks to the God who heals. If things are so bad that you can’t find anything to be thankful for, thank God that he works all things for good! 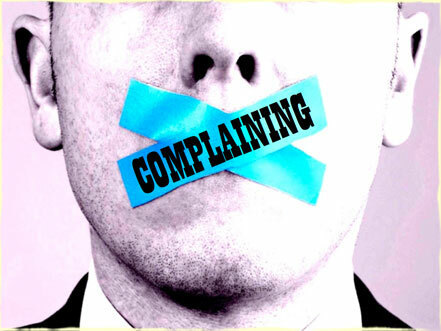 Complaining is easy, but it is the way of the world and doesn’t impress God. An attitude of gratitude opens the door of blessings from God.